Thanks to the likes of Gigi Hadid and Kaia Gerber, newsboy caps are having a major moment. 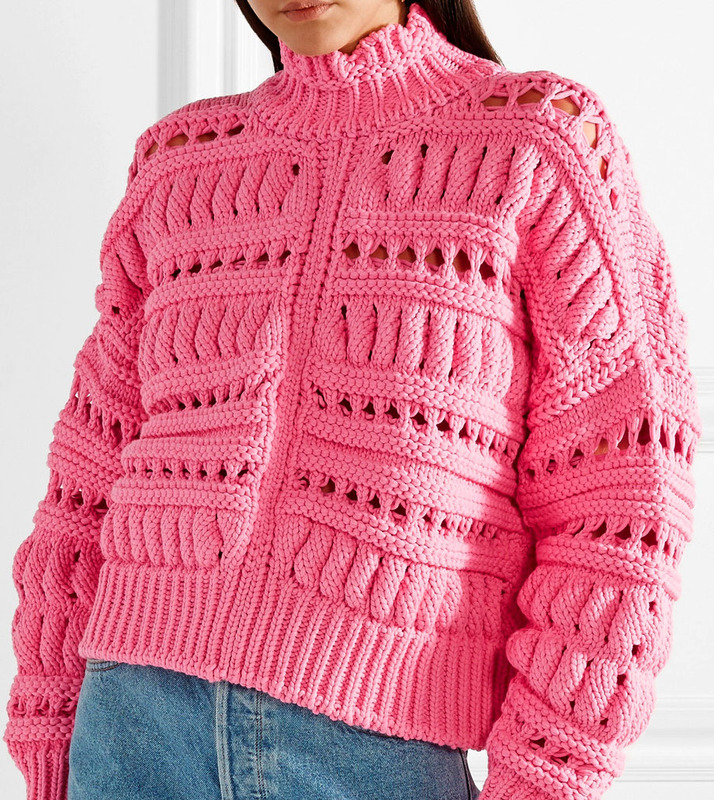 Isabel Marant's 'Evie' version has been made in France from wool-blend felt and lined in lightweight cotton that'll be gentle against your hair. Wear it with soft waves or a low chignon. Jason Wu GREY may be a more casual, pared-down collection than the designer's main line, but it's treated with the same thought and care. 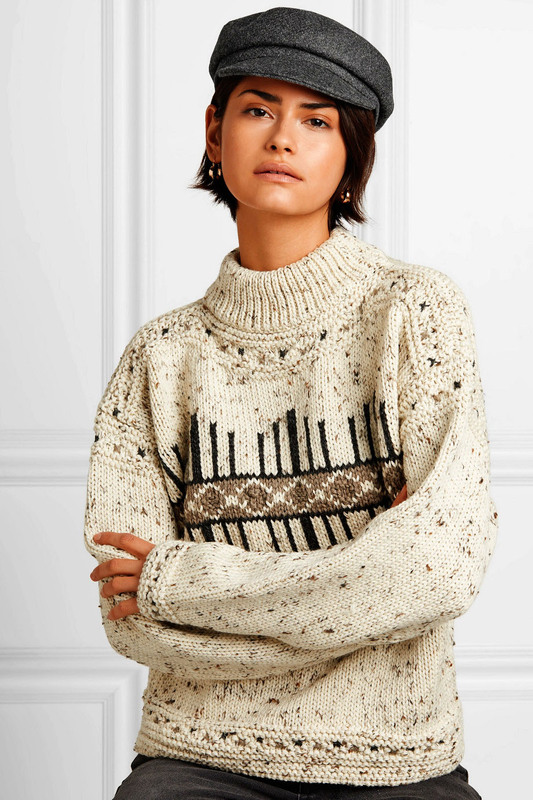 This sweater is spun from wool-blend that feels plush against your skin and intarsia-knitted with a cascading pattern along the neckline and chest. Temper the loose fit by half-tucking the ribbed hemline into a midi skirt or jeans. Isabel Marant's 'Sigrid' dress has that distinct '80s silhouette that was seen throughout the label's Spring '19 runway. 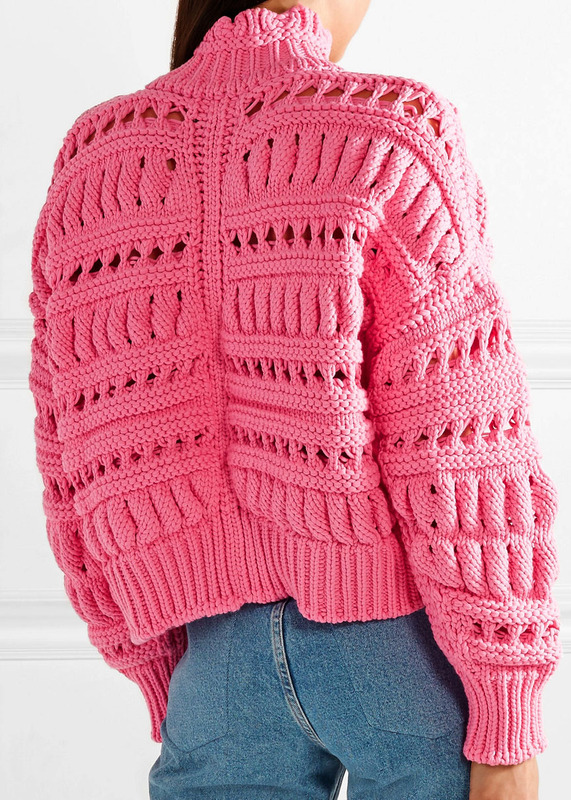 This sweater style is knitted from pure, fuzzy ribbed cashmere and has a nipped waist that balances the strong shoulder. Temper the mini hemline with knee boots. 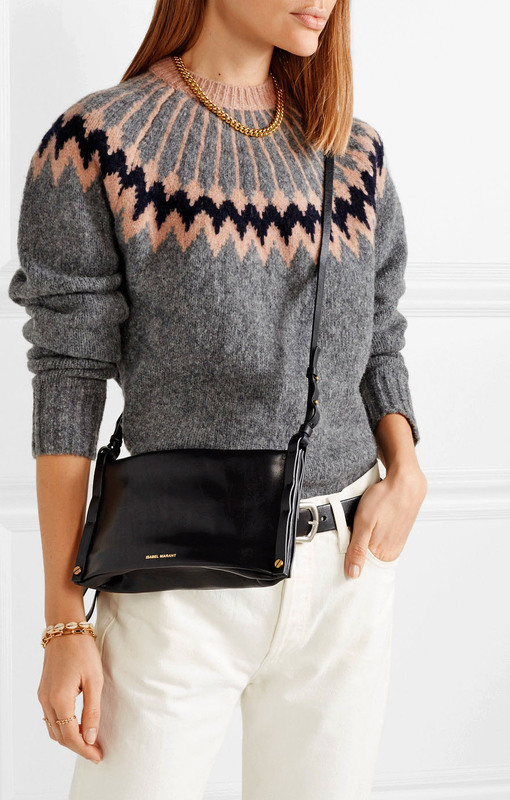 Oversized silhouettes, like this 'Zoe' sweater, are something Isabel Marant always includes in her collections. 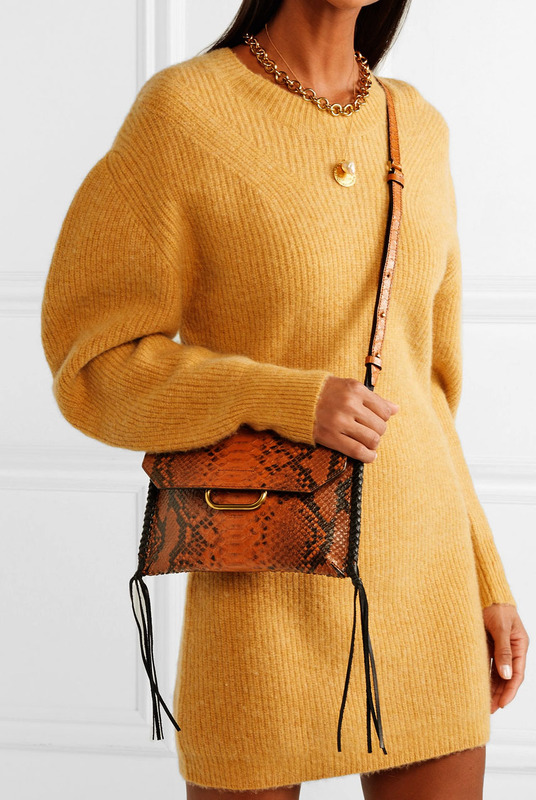 Spun from chunky cotton-blend, this open-knit piece has dropped shoulders and a slightly cropped hem, so it works well with high-waisted jeans. On the runway it was styled with accessories in red and burgundy, but tan and white look just as good.